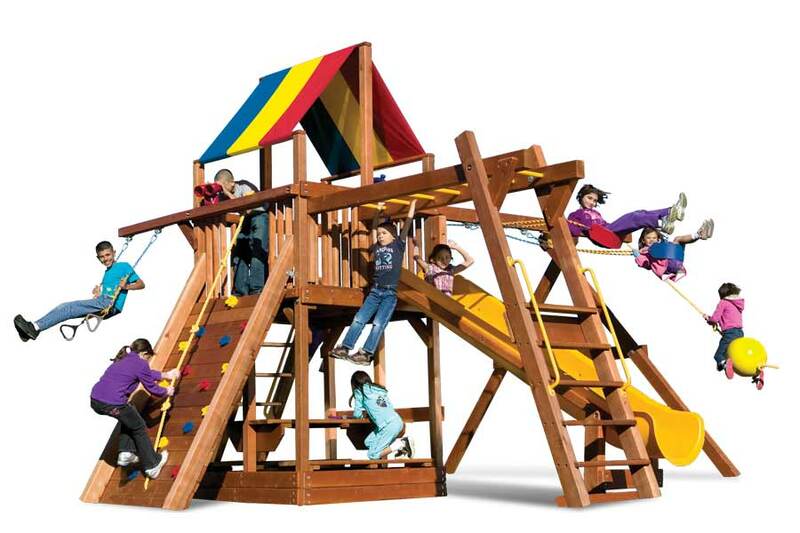 Swing Beam Height: 8ft 5"
The Rainbow Series uses massive beam construction, sure to hold up to any shake test. Four different packages and tons of extras and options available. Come by or visit www.rainbowplay.com for more info. Rainbow clubhouse package III with rainbow tarp and climbing rocks.